add looks awesome. a real megaman real state fan. It's in Mexico. Vendor is the name of one of the major companies in Mexico for billboards. Soo... Pheonix Wright's an attorney(...mostly...), and now X is a real estate agent? What next, Leon Kennedy as a bathtub salesman? Yeahhhhh I guess even X is having a rough time making ends meet..
hhmmm...? I wonder who will be your next door neighbor? A maverick? lol. If it is then mortgage payments must be low for the first 3 months lol. That's amazing. I'd buy property from X; he'd probably have a GLEAMING ethics record. GIGAMAN!! Don't give them away! Looks like the Irregular Hunters are having trouble making ends meet that they're making one of their star Hunters add another job to his work load. So many potential replies to this. 1) Too bad for X, but what can you expect? The guy hasn't had any real work for years. It's sad but after being turned down from MvC3, he probably realized he's probably having to take whatever he can get. 2) If I knew where that banner was, I would reference EVERYTHING in terms of its location, no matter how far. 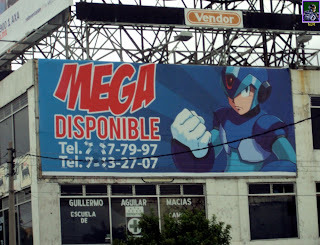 "Yeah, get on the highway from here, then get off at the fourth exit, keep going until you pass a park on your right, turn left, after 8 blocks you'll see this big MegaMan banner..."
3) And by the way, I could spice up that ad. "ALQUILE AHORA - Le ofrecemos el mejor servicio y financiamiento en el mercado Reploid!" How ironic, seeing how his voice actor from X4, Ruth Shiraishi is involved in real estate. I didn't see a separate entry for the Pic of the Now (then). Did anyone else notice that the French ad wrote something about "the satanic Dr. LIGHT"? This is so cool, X would really be a great seller. Good old unlicensed advertising using rock man charcters. This just goes to show how awesome rock man is. Yeah. It's unfortunate that Capcom doesn't know how awesome he is, however. And the comment Anonymous#3 made about Ruth Shiraishi, that is weird! I had forgotten about that until you said it. What's even weirder, is that a couple of hours ago, I just happen to be talking about her providing the voice for X.
Dude. I need to show this to my spanish-speaking brother in law and get a full translation. 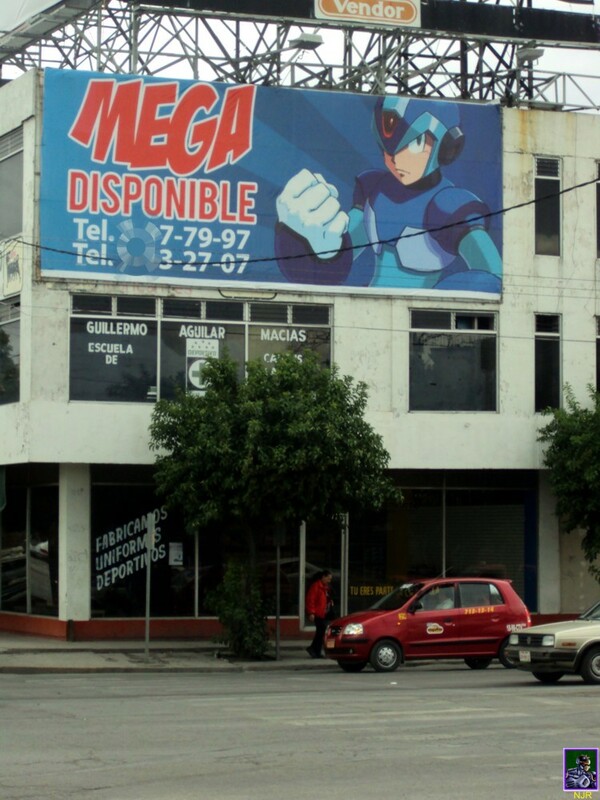 If Protodude or ANYONE still cares where that billboard was, it was on the city of Torreón, in the state of Coahuila. Torreón, Coahuila, México. Anyway, it's been like 6 or 7 months since the billboard was removed. 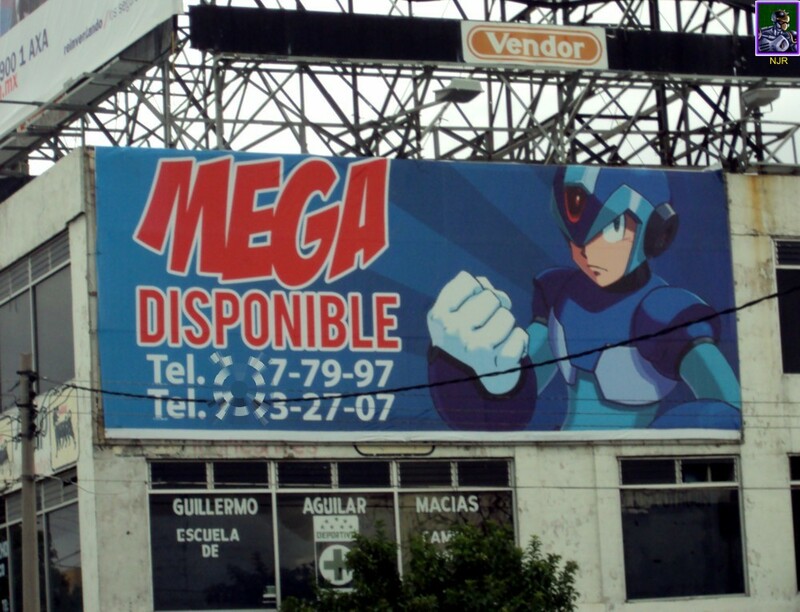 Rumor has it Capcom's attorneys did came to sue whatever guy did the billboard. OH WELL. The most ideal approach to show your property to them is by guaranteeing your advertising methodology is on key and being introduced to the correct gathering of people.